The Farrows is a five-piece alternative indie rock band from in and around Ruislip, Middlesex and having only been a band for a year and nine months their onstage chemistry and amount of adoring fans is credit to them. These guys are not to be missed! Headlining the Brixton Jamm for the Kaiser Chief tour after party (their biggest gig yet) their catchy lyrics and guitar riffs had the crowds full attention- they loved every second of it. At one point there was even a mosh pit going on!! Lead singer Chris Musgrave commanded the audience’s attention with his great vocals and likable melodies. Guitarist Mason Caldwell played an amazing guitar solo, which received incredible reception from the crowd. The 35 minute set, which finished with an amazing cover of Rage Against The Machine’s “Killing In The Name”, was extremely varied with no two songs sounding the same. The distinct style of The Farrows guitar driven songs with lyrics written by lead singer Chris, shone out throughout the set and was a perfect way to get the crowd ready for the Kaiser Chief DJ set. Mason: Well we really needed a band name and I literally scrolled through my friends list and saw a friend with Farrow as the surname. Do you know what a farrow is? Chris: Plus “The Cribs” is named after something a baby sleeps in!! A band makes the name. Chris: We were derived from the band Clueless Monday, which I started. If you are a new fan, what can we expect from The Farrows? Chris: Catchy songs and lyrics. Our inspirations are Arctic Monkeys, The Smiths and The Cure. 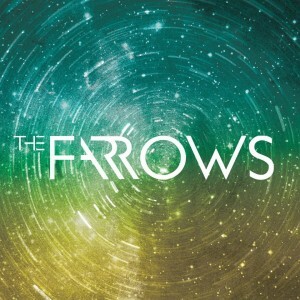 The Farrows are definitely a band to watch out for in the future. Having come so far already in the little time they’ve together I predict big things for this band. He was very entertaining whilst he was on stage, but understandably didn’t stick around long to go and celebrate presumably the end of a successful tour! The DJ set was short but sweet and a decent end to the night!